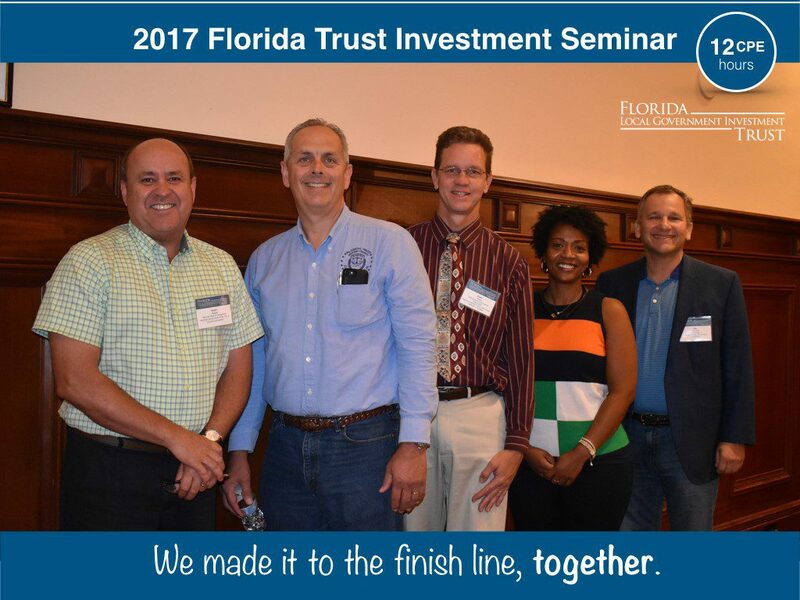 Clayton O. Rooks, III attended the Florida Trust Investment Seminar for Florida Clerk & Comptrollers in Hollywood Florida. This was a 2 day seminar including topics on U.S. Banking,Economic Outlook and Government Retirement Plans. Pictured left to right: Kevin Madok – Monroe County Clerk, Clayton O. Rooks,III – Jackson County Clerk, Grant Maloy – Seminole County Clerk, Gwen Marshall – Leon County Clerk and Phil Diamond – Orange County Comptroller.